According to the National Highway Traffic Safety Administration (NHTSA), crash rates for Tesla vehicles have dropped by 40% since Autopilot was introduced. 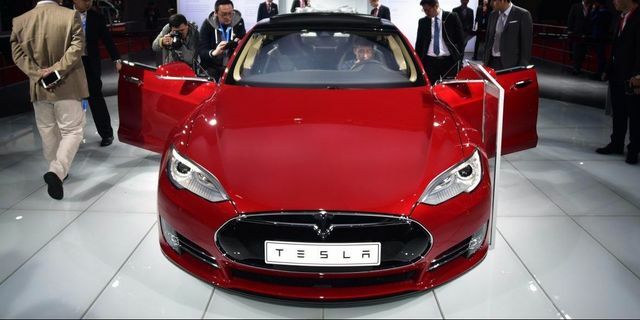 Tesla is already selling its own car insurance in Australia and Hong Kong - believing that traditional premiums do not reflect better safety - and the company may eventually include insurance in the final price of the car. According to a report by the National Highway Traffic Administration (NHTSA), crash rates for Tesla vehicles have dropped 40% since Autopilot was first installed, and the cars are designed to get safer with Tesla's new Autopilot 2 technology. Tesla CEO Elon Musk said the company wants to ensure companies are dropping costs proportionate to the reduced risk of driving a Tesla. These kinds of price adjustments could hurt the industry. The personal auto insurance sector could shrink to 40% of its current size within 25 years as cars become safer with autonomous tech, according to a report by the global accounting firm KPMG. "This is an example of what we're trying to do even though they're early stage," Devesa said about Tesloop. "How do we learn with them and grow with them?"